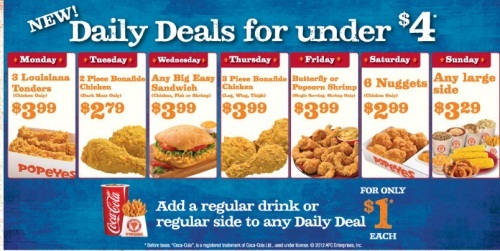 Popeyes has started Daily Deals! Everyday of the week there will be a different menu item for under $4. Add a regular drink or side to any daily deal for only $1 each. 8 piecs for 2.79? where they do that at?